4k00:10Troyan, Lovech, Bulgaria, 08.05.2018 - Car mechanic screwing or unscrewing car wheel of lifted automobile by pneumatic wrench. hd00:15Tighten car tire nuts. 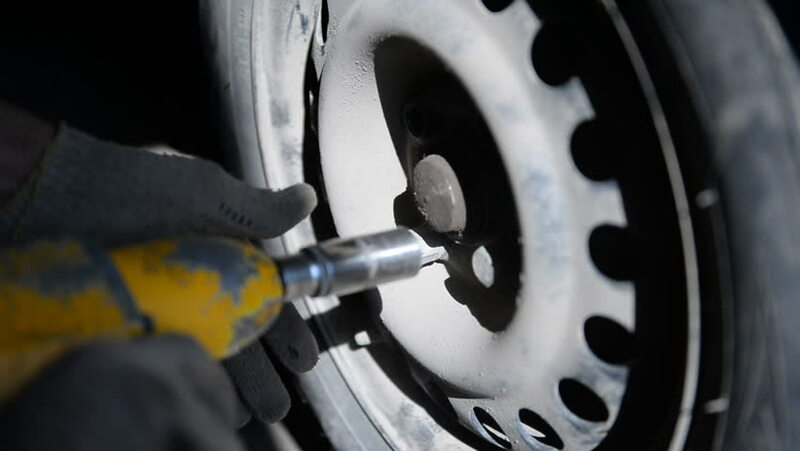 Man using an impact wrench for tighten the nuts of car tire. hd00:55Change brake fluid with waste oil drainer, Blow the air in break system.